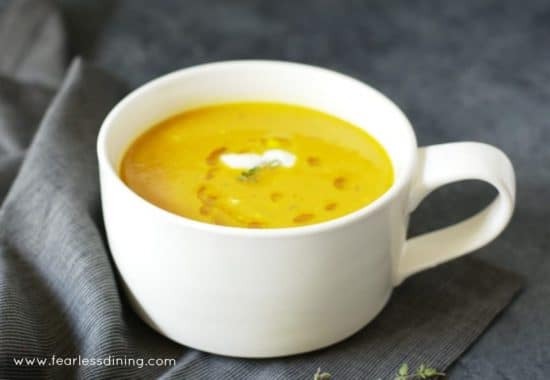 This quick and easy creamy pumpkin soup is not only healthy, but it is ready in under 30 minutes…from raw ingredients to a delicious hearty soup. The weather is cooling off in the Bay Area now and it is getting cold. Time for fuzzy slippers, sweaters, and warm jackets. Cold weather = soup in our house. And even better? You can just toss the ingredients into the pot and let it cook. No roasting and peeling pumpkin, I used a can of organic pumpkin puree as a time saver. To save time, I used canned organic pureed pumpkin. Canned organic pumpkin is just as nutritious. Pumpkin is filled with vitamin A and beta-carotene. You are welcome to roast your pumpkin, puree it, and use that for your soup. Use a brush and spread olive oil onto the inside of each pumpkin. Sprinkle salt on each half and place the pumpkin halves in a baking pan. Place the baking pan in the oven and roast for 40-45 minutes until the pumpkin is soft. Remove the pumpkin and allow the pumpkin to cool. My main goal for this soup was to create an easy pumpkin soup that could be ready quickly on a busy school night. I try to keep a big pot of soup in the refrigerator most of the time. Something that can be quickly reheated for a meal, or even a snack. Our family has several soups that we seem to make a lot. Sometimes the soup is full of vegetables, like this Country Hamburger Vegetable Soup. 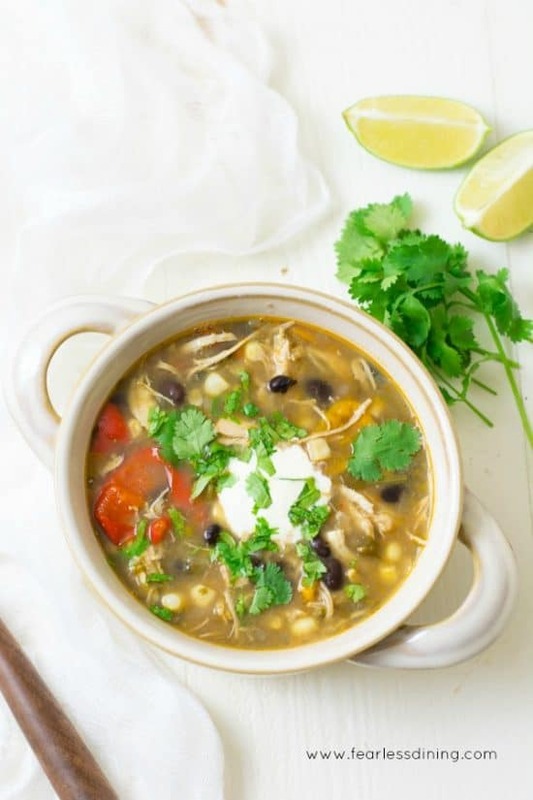 This delicious Chicken Taco Soup makes a great meal. It is ready in just 30 minutes and is a kid-favorite in our house. 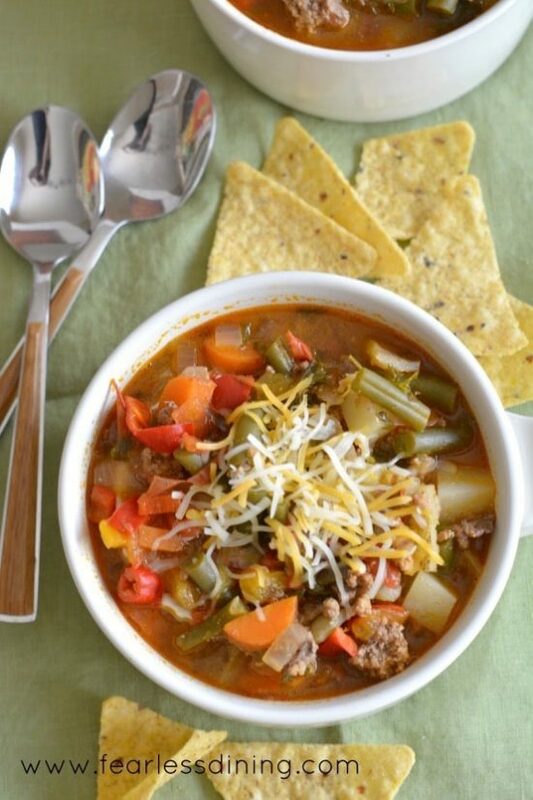 Click here to see all of the delicious soups on this blog. Vitamix, blender, or a hand mixer if you are roasting your own pumpkin. 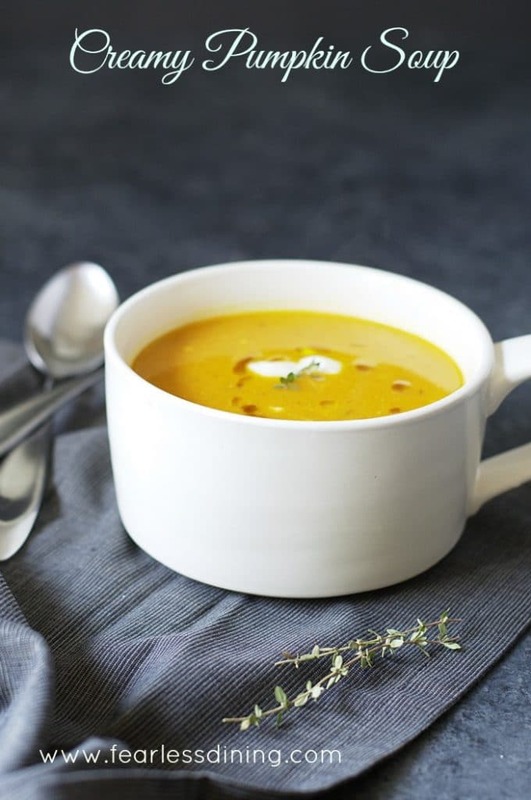 Easy, creamy pumpkin soup recipe. Add carrots, leek, and garlic. Add pureed pumpkin, wine, broth, juice, and seasonings. Use either an immersion blender or Vitamix to puree soup to smooth texture. Use caution not to splash hot soup on yourself. It is hot! Turn off heat and add yogurt. Stir in and serve hot. I am so excited for all the pumpkin and soup is my favourite way to use it up. I really enjoy savory pumpkin dishes and soup is one of my favorites! That’s what I’m going to eat everyday next month when the weather gets colder! Love such easy and warming soup recipes. I can’t wait for it to cool down here too Diana, hope you have a great week. I’m soooo ready for pumpkin all-the-things! This soup looks super creamy and sounds delicious. Can’t wait to try! I love pumpkin soup and it’s almost the beginning of the season! Looks so creamy and delicious! Can’t wait to try this recipe! Can’t beat a bowl of soup on a cold night. This looks so delicious and cozy! We eat with our eyes first and this delicious soup is certainly eye-catching and I can imagine so flavorful, too! Looks like the perfect soup for this winter!! Soup looks so creamy, colorful and tasty!! How very convenient that I have everything to make this tomorrow for lunch! I would welcome a big bowl of this right now to chase away the cold. That soup looks divine and simple to make. I’m sure the addition of orange juice would bring out the flavors even more. Thank you Molly. You are right, pumpkin and orange work so well together. This sounds simple and perfect, without diary , the way the pumpkin soup is meant to be. I’m definitely going to make this for my son . Thanks for sharing Sandi!!! I hope he likes it 🙂 It was really nice to meet you this past weekend at the conference. Your bowl of soup is calling out to me. It looks so inviting and delicious. Lovely color too! This is so simple but I love your choice of ingredients – the leeks and wine really do it for me! I think this would be a perfect Thanksgiving starter. Yum! I don’t think I’ve ever tried Pumpkin soup. It sounds amazing. I’m definitely going to give this recipe a try. Thanks for sharing ???? 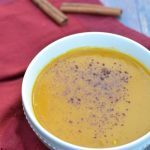 My daughter loves pumpkin, I am going to have to try making this soup for her. 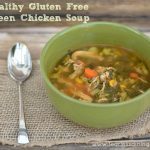 It looks delicious and I love the idea of keeping soup on hand for quick meals! I’d like to taste this recipe! 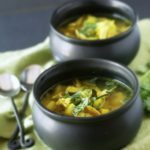 I’m always looking for new soup recipes for fall! Im with you as in cold weather makes me want warm food! I love how this soup only has two steps! Couldn’t be easier or more perfect for the chilly weather! Quick and easy rules at our house 🙂 I appreciate your stopping by Rachel. Have a great weekend. This would be great for holiday dinners! Love this soup! Its quick, easy and pumpkin…perfect for this time of year! Pumpkin soup is one of my favs! Can’t wait to try your recipe! You know I’ve never made a pumpkin soup, but butternut of course! I need to make some pumpkin!